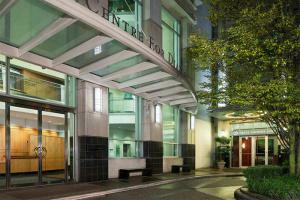 Located in the Heritage District of downtown Vancouver, this hotel is convenient to many popular attractions and features a wide variety of on-site amenities. For your comfort and relaxation, the hotel features all suite accommodations, making your stay. Enjoy farm-to-table fare at Spencers, with a menu drawing inspiration from flavors across the world. Schedule a workout at your convenience at the fitness center, which is always open. Nearby attractions include the Vancouver Aquarium and Science World. Located 9 miles from Vancouver International Airport, and a short walk to Vancouver Waterfront Station. Vancouver Aquarium, Stanley Park, Science World, Vancouver Trolley Company, Capilano Suspension Bridge, FlyOver Canada are all less than 5 miles from the hotel.